The National Institutes of Health today announced an agreement with two non-profit organizations to accelerate the development of potential clinical therapies for rare blood cancers. The cooperative research and development agreement has been established as a shared commitment to move therapies for rare blood cancers into clinical proof-of-concept studies so that promising treatments can eventually be commercialized. The agreement is among the University of Kansas Medical Center, The Leukemia & Lymphoma Society (LLS), the NIH Therapeutics for Rare and Neglected Diseases (TRND) program and the Hematology Branch within the National Heart, Lung and Blood Institute (NHLBI). For over a decade, chondroitin and glucosamine have been recommended in guidelines, prescribed by general practitioners and rheumatologists, and used by patients as over-the-counter medications to modify the clinical and radiological course of arthritis. 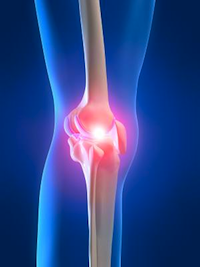 Nevertheless, a recent meta-analysis in the British Journal of Medicine (BMJ) measuring pain intensity and joint inflammation in over 3,800 patients concludes that chondroitin, glucosamine and their combination do not reduce joint pain or have an impact on narrowing of joint space . Cartilage is an elastic, fibrous connective tissue found in many areas of the human body, including the joints between bones, the elbow, the knee and the ankle. Glucosamine and chondroitin are key structural components in cartilage and are frequently prescribed to reduce joint pain and slow the progression of the disease. It has been thought that oral administration of these compounds compensates for the loss of cartilage in damaged joints. Glucosamine and chondroitin are partially absorbed in the intestine and several studies suggest that at least some of what was ingested can reach the joints. Nevertheless, the recent study, not a clinical trial itself, but a study of studies (i.e. a meta-analysis), compared glucosamine hydrochloride, glucosamine sulphate, and/or chondroitin with placebos and found that none reduced pain intensity or changed the width of joint space (i.e. reduction of inflammation) .